The apparent movements of the sun correlate to the evolutionary cycles in human consciousness. If the condor (or the eagle) is the living metaphor of the daytime sun and of the sky, then the puma is, in the imaginary world of indigenous people, the “sun of the night” and the earth. After it sets, the sun penetrates the mysteries of the night and the earth in the form of the puma. As the terrestrial conductor of the sun’s strength, it is associated with fire and with the force of volcanoes, just as the condor and the eagle are associated with thunder. The puma brings light to caverns and canyons, illuminates paths in the forests, the valleys and the mountains. To hear its roar, to have the vision of the puma, represents the advent of courage and strength, but it also heralds spiritual challenges: secret struggles which take place inside our hearts, the power of transformation, the strength of Mariri. 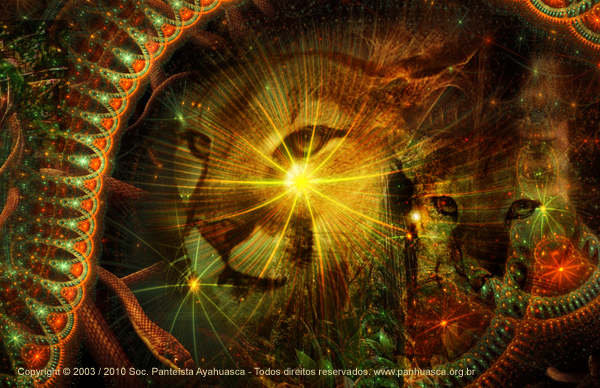 A universal source of strength and energy, fierce and fearless, confident in its power and night-time vision, its intuition and superior talent, its link with the sun, the puma revitalises the secret world of the caves without distinction, also awakening and revitalising the forces of the ego. Finding new paths, discovering patterns, moving through the night safely and without fear – all these are attributes of the puma. Victorious, the strength of the sun brings trust, reflection, freedom, determination and intuition.